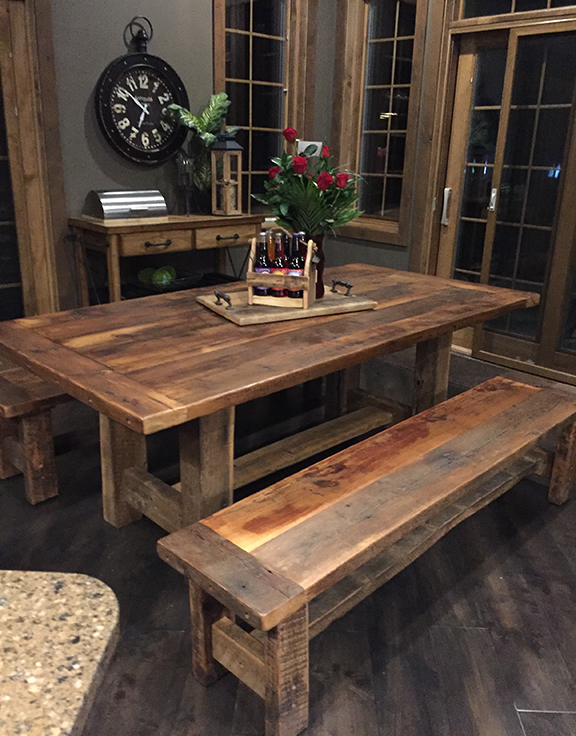 The addition of a farm table in your dining room, kitchen or office adds a beautiful mix of old and new. 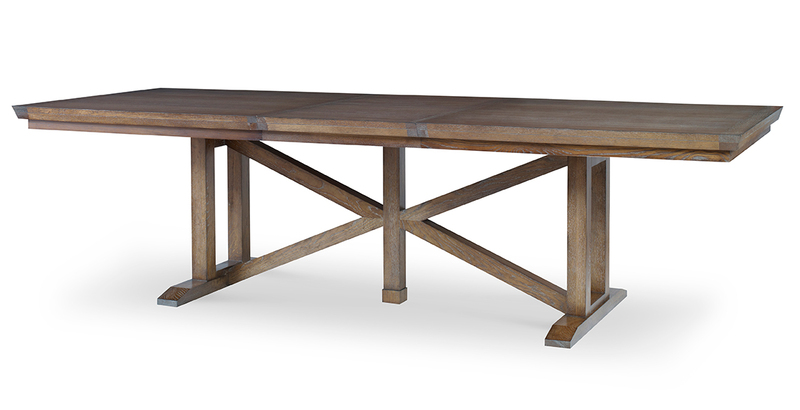 Dempsey table, available at Goebel & Co.
Thomas O'Brien Gallery trestle dining table, by Century Furniture, available at KDR Designer Showrooms. 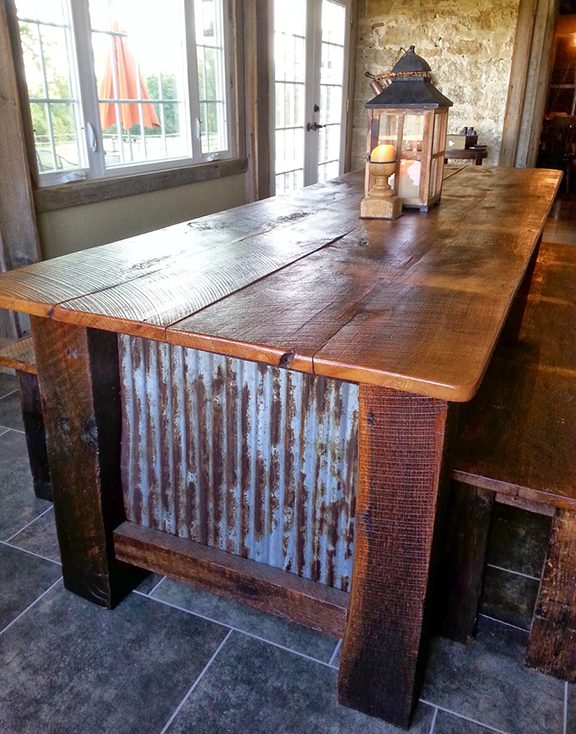 Barnwood plank table, available at Reclaim Renew. Harvest table and benches, available at Reclaim Renew. Castlewood chevron table, available at Rustic Grain. Salerno pane table, available at Ezekiel & Stearns. 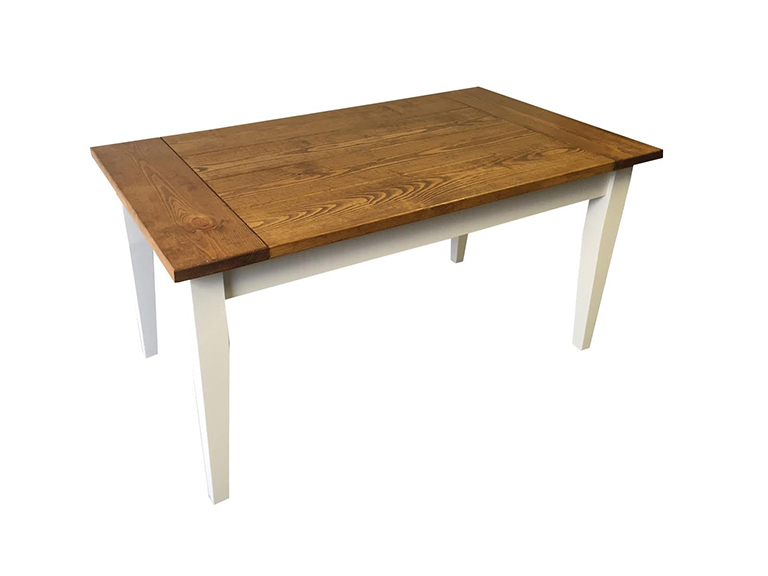 The addition of a farm table in your dining room, kitchen or office adds a beautiful mix of old and new. Typical American farm tables have planks that run from end to end with straight legs. 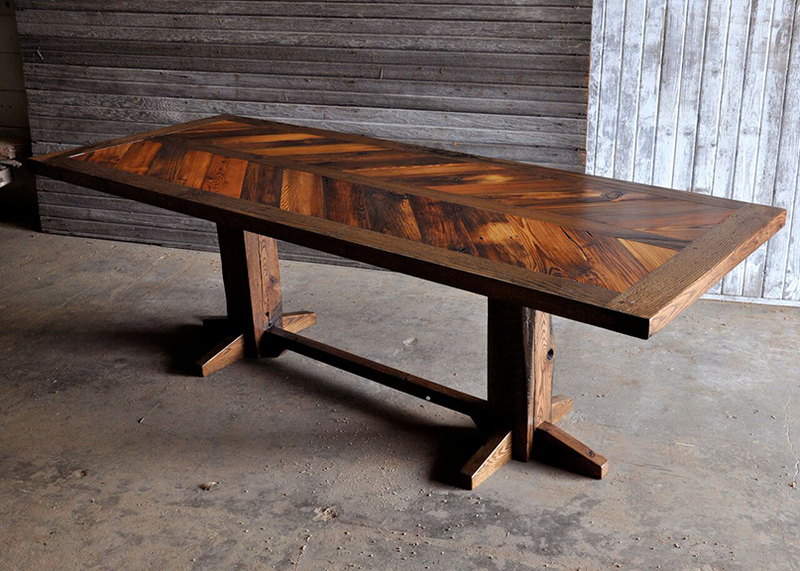 Often made from reclaimed wood, the stunning slabs are meant to last. 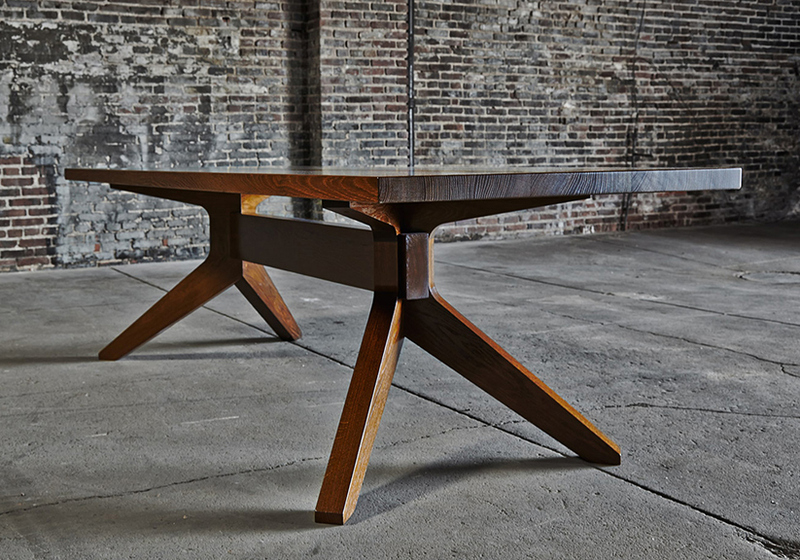 one: Dempsey table, available at Goebel & Co.
two: Thomas O’Brien Gallery trestle dining table, by Century Furniture, available at KDR Designer Showrooms. three: Barnwood plank table, available at Reclaim Renew. four: Harvest table and benches, available at Reclaim Renew. five: Castlewood chevron table, available at Rustic Grain. six: Salerno pane table, available at Ezekiel & Stearns.